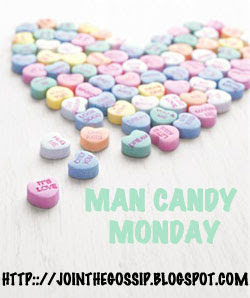 Be sure to link up with today's Man Candy Monday because next week I'm taking next Monday off! Because of the week off I needed to choose an especially hot male to tide you over for two weeks. That's why I selected Matthew McConaughey. This man needs no intro. So let's just enjoy some pictures. Engaged to Camila Alves, who he has two children with. -His father, James Donald McConaughey, played football for the Greenbay Packers. -Reportedly doesn't wear cologne or deodorant (ew!). -Was considered for the role of Jack in Titanic, before Leo took the part. Who is your Man Candy pick this week? Write a post about your celeb of choice and add you link to the blog hop below! And don't forget,we're skipping MCM next week. I love him when he's clean and groomed. But when he's not... It's rough. Mmmmm Matthew is sooooo HOT! He has the most beautiful body! So, so gorgeous... those abs?! Mm! ohhh this is some serious eye candy. He is just downright gorgeous. About the no deodorant thing... I've heard he stinks very badly in person. So disappointing of our dear Matthew! Serious man-snack, minus the B.O. Boogie! WHEW!! I heard he smells pretty rank...still delicious to look at! No deodorant? Yuck...even his sweat won't smell good! Lol! So darn hot though! i totally enjoyed him this weekend watching "we are marshall" and "wedding planner." yes he is a fly high eye candy. no doubt! duh! this man is so hot even my boyfriend has a crush on him. I go back and forth with him. Sometimes I think he's so dreamy with his southern charm. Other times I think he's a gross deadbeat hippie. Hahah! But yes, he is hot! I can't wait for Magic Mike. I met him a few years ago and he was equally as hot in person!